A quick and easy dinner idea that is healthy and so tasty! Add the cooked vegetables back in with the turkey, and stir to combine. Notes... These can be frozen if wrapped tightly in air proof container / wrap. They are also delicious cold the next day! A great weekend lunch or dinner with lots of flavour,thanks! Very nice. I haven’t done them in ages! I never thought about freezing them. Thanks for the idea!! I love freezing food – always make extra for the freezer! 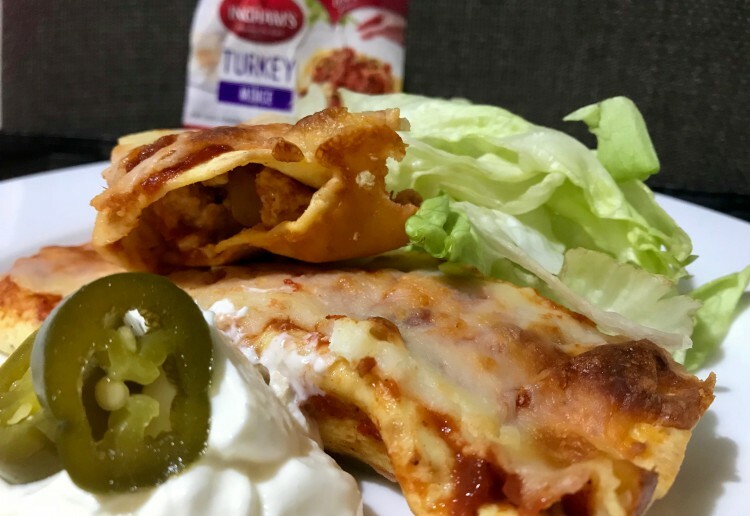 Delicious looking enchiladas and the type of food that we love to eat on Friday nights – thanks for sharing your recipe.